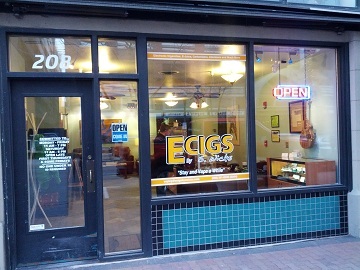 If there is one word to describe ECigs by S Wicks in the heart of downtown Boise, it would be QUALITY. These guys have gone the extra mile to make you feel warm and relaxed. The front of the store is a clean and well kept display of all their products. There inventory includes everything from smaller eGo batteries with designer colors and patterns, to the famous ProVari personal vaporizers lineup. Not to mention a few hard to find MODS, custom built tanks, mouth pieces, and other treasures you can't find anywhere else in Boise. The customer service is great. The guys at ECigs by S Wicks take the time to explain the differences between their products and others and make sure you know how to use them. The also offer to let you try some of their products before you by. Their knowledge of their products is amazing and they always make great recommendations to help you find the perfect set-up. In the back of the store is a "vaping lounge". Complete with two sofas, coffee table, sound system, and even an xbox 360. 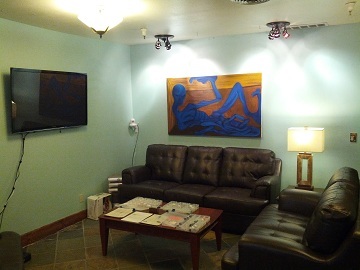 Here you can sit and sample all the high-end juices and relax. 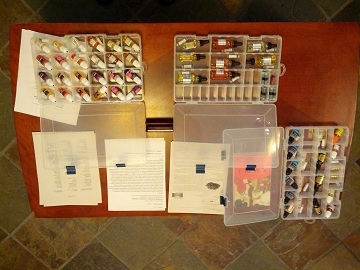 The coffee table is loaded with dozens of flavors and different vendors of liquid nicotine. They even have atomizers for you to borrow so you can sample their flavors without buying one. Carl helped me find some tasty new juice and showed be a few of the custom pieces they carry. He is an incredibly talented artist. He displays some of his art in the store to give it a warm and personal feeling. He brings this passion in perfection to his customers with his products and vast knowledge of the e-cigarette industry. He took the time to explain to me about the rebuildable atomizers he currently uses and did a demo of how to wrap the wire. Rebuildable atomizers are not for everyone, but I have to admit, before he showed me his I thought rebuilding atomizers were for the most elite vapers. Now I see them as a great way to save some money. If you are looking to get into rebuildable atomizers, this is the place to go to. 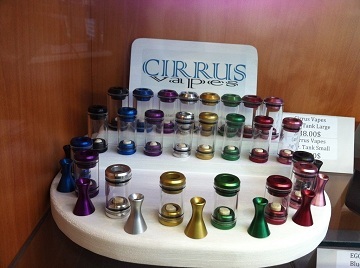 They have a huge selection of drip-tips and rebuildable atomizers. They even sell the wire and will show you how to rebuild them while comfortably seated in the vaping lounge. With all the generic product out there, ECigs by S Wicks stands alone in Boise with their high-quality devices, custom mouth pieces, custom glass tanks, rebuildable atomizers, and one-of-a-kind designer components. If you are looking for a custom style, look, or just the best products and juices ECigs by S Wicks is the place to go. 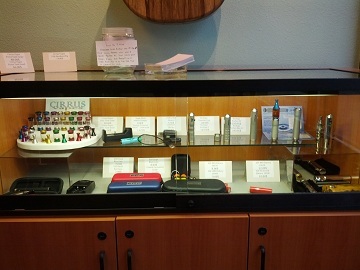 Have you been to Ecigs by S. Wick's Store in Boise? Share your experiences.